Known for his love of desserts, Yves Lévesque is one of the greats in Montréal catering. A 1972 graduate of the Institut de tourisme et d’hôtellerie du Québec in French cuisine and baking/pastry, he mastered sugar, almond paste, and chocolate early in his career. First serving as pastry chef at Dansereau Traiteur from 1976 to 1990, he took ownership of the company in 1991. 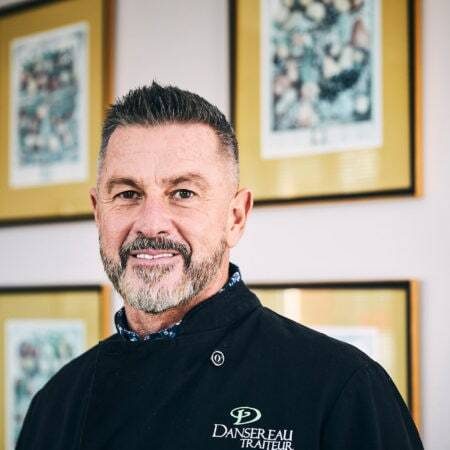 With more than 25 years at the helm of Dansereau Traiteur, he’s still working with his staff on the menus and presentation of his many culinary creations. He is a passionate craftsman of the gastronomic arts, with tremendous respect for the products he uses – a tribute to the hard work of producers. Yves Lévesque is a committed member of the community, locally and globally. He’s one of 600 members of the International Caterers Association, serving on its Board of Directors from 2006 to 2009. At that time, he was also part of the association’s Foundation with its mission of providing scholarships to young catering chefs for advanced training. On a personal level, he’s dedicated to the cause of GRIS Montréal – a foundation that fights against homophobia in schools – and acted as Chair of its fundraising campaigns in 2003 and 2004. 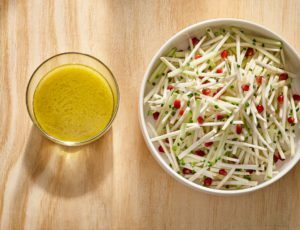 Maple… A slice of life! 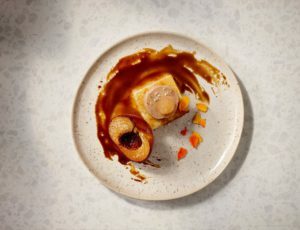 Yves Lévesque cherishes these childhood memories to the point that they inspired many of the maple desserts that he’s created over the course of his long career… desserts that have delighted famous guests such as French prime minister Raymond Barre, for whom he concocted an unforgettable maple soufflé. Maple, in all its forms, has an open invitation to the greatest tables, as it never fails to bring with it a hint of audacity and a host of pleasures. And many have adopted it as their own: Chefs, bakers, brewers, winemakers, ice cream makers, and caterers use maple with a passion… because it’s an exceptional product that invites them to reinvent themselves. Incredible maple!